I’m sure we’ve all seen our fair share of April Fool’s Day pranks over the years — sugar in the salt-shaker, salt in the sugar bowl, someone tells us we’ve had a foot of snow overnight, and woe to the unsuspecting co-worker about to sit on a whoopee cushion at the big meeting at work. April Fool’s jokes can be entertaining, and for some, just about anything goes. In fact, these antics can get rather detailed and require a lot of preparation. 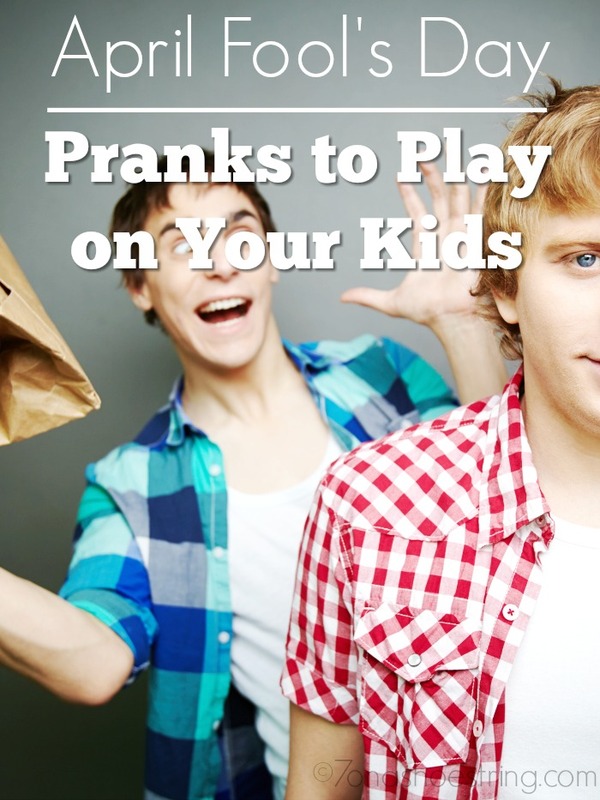 But, keeping in mind that kids are often more sensitive than adults, here are some fun, yet harmless, ideas for April Fool’s pranks to play on your kids. Have two heavy sleepers? Sneak in after they’re asleep and gently lift one child into the other child’s bed and vice versa. Be sure you’re there to see the looks on their faces as they wake up in the wrong place. Hand them their toothbrush all ready to go, but swap out the toothpaste for cream cheese or frosting! Put a piece of plastic wrap under the lid of the shampoo bottle. Your family will have no idea why a full bottle won’t pour. For an easier prank, you could switch the breakfast cereals from one box to the other and watch the shock as Raisin Bran fall into the bowl intended for Lucky Charms. Food coloring in the milk is an easy trick that will surprise your children as you pour. Along the same lines, you can make green eggs and ham for your family. Set the alarm clocks an hour or two early, then take everyone out to breakfast. Take a screenshot of the computer screen and leave it open. Your Minecraft addict will think the computer is frozen. AGH! Put a sticky note (“April Fool’s!“) on the bottom of the mouse. It won’t work. Fake phone call. There are apps out there that will make it look as if a phone is receiving a call from a false caller. How would your child react to a phone call from Shawn Mendes or Taylor Swift? Tell your child her teacher called and said she had a behavior problem at school. Be sure to tell her “April Fool’s” before she gets too worked up. April Fool’s Day can be a great time to have a lot of fun with your kids. Keep in mind that you need to know your child — the easily frustrated child won’t like a spraying water faucet trick, and the sensitive child might be terrified to hear the teacher called. Know your child, use your gut, and remember that it’s all about having a little fun!